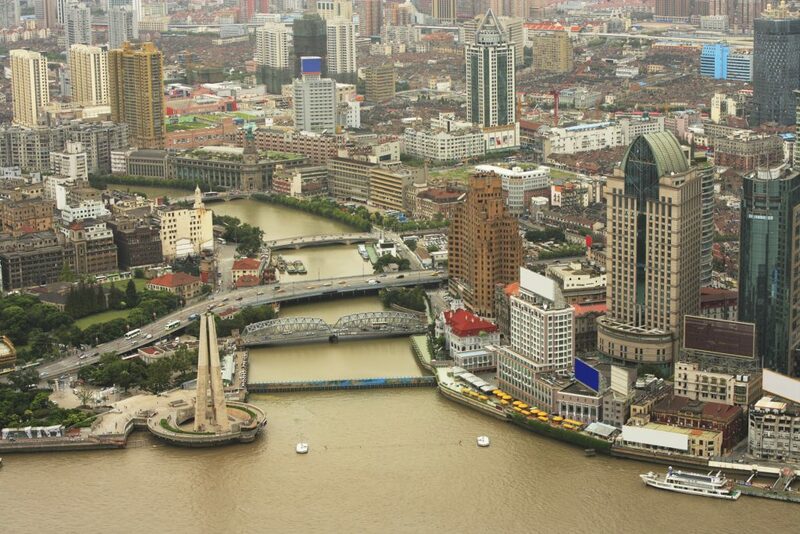 General city view of Shanghai, China. Whether it is natural climate variability or human activities – growing population, increasing urbanisation, changing land usage and economic development – contributing to climate change, its disruptive influence on water management is rightly perceived to be one of the critical risks facing our world: a risk of high likelihood and high impact on human wellbeing, ecosystems and economies. The impacts, including extreme weather events, such as droughts and floods, will increase in both severity and frequency, while water scarcity and safety will become far more widespread and affect millions of people globally. These are some of the critical issues being addressed by water professionals at the IWA Water and Development Congress & Exhibition, taking place in Jordan, October 18-22. In order to ensure water quality and quantity now and in the future, decisions made at the catchment, city and consumer level all need to be linked. Critical to this, the upstream management of water resources is an essential investment in securing water for drinking and other uses in urban areas. This engagement should be done through participatory approaches with stakeholders, such as Water Safety Plans. Too many water utilities have too little control or engagement with their catchment area, and the control measures have often focused only on the point of intake. Water safety planning uses a ‘catchment to tap’ approach, where decisions in managing the risk to drinking water quality and quantity need to be made collaboratively by all key stakeholders. This approach is widely used, and some utilities are collaborating with catchment organisations to take action. The Water Safety Plan approach is also used to develop and implement related plans including drought response plans to reduce impact during extreme events. One example is Melbourne in Australia. Climate change projections suggest more extreme weather events, including heavy storms that deliver a large amount of rain in a short period of 24 hours or less. This is despite the fact that annual rainfall volumes are expected to decrease. Between 1997 and 2009, Melbourne experienced its most severe drought on record, resulting in an extremely reduced level of water flowing in rivers and creeks, and the level of water stored in water supply reservoirs. Melbourne Water worked with Melbourne’s three water retailers to develop Drought Response Plans. The plans co-ordinate management of the water supply system to reduce drought impacts. The basis of the Drought Response Plans included monitoring of storage levels, stream flow into reservoirs, catchment conditions and climate outlooks, and managing supply and demand actions. In Portugal, Aguas de Noroeste actively use their Water Safety Plans as a mechanism for working across the catchment. This helps determine the most effective investments to ensure continuous, safe drinking water supply. For example, a lack of water at the intake for Rabagão Water Treatment Plant led to the use of an alternative surface abstraction point 1 km upstream to ensure continuity of supply. Awarness and communication with basin stakeholders was also necessary during spills or periods of eurtrophication upstream. This allowed treatment control measures to be put in place before there was contamination at the intake. In addition, there are a variety of tools that can help link utilities with their wider catchments. TNC, with IWA and C40, have developed the Urban Water Blueprint mapping water sources for cities and assessing actions such as the use of natural infrastructure to sustain water supply. More than 700 million people could receive better quality water if cities invested in natural solutions, including forest protection, reforestation, stream bank restoration, improved agricultural practices and reduced forest fuel use. The next step will be the development of an app for utilities and others to provide estimates of water quality impairment, and the opportunity to improve water quality and quantity from catchment to tap through different conservation activities. IWA Basins of the Future, and Water Supply and Sanitation Services Programmes are aiming to promote wider engagement and communication of best practices with urban and basin stakeholders. Specifically, IWA is collecting case studies that highlight experience and best practices by asking questions on the challenges and current and proposed solutions. Case studies can be submitted through an online form at: https://goo.gl/VEzh12 or email katharine.cross@iwahq.org for more information. How can utilities and their catchment stakeholders improve resilience to uncertain climatic impacts? Whether it is natural climate variability or human activities (growing population, increasing urbanisation, changing land usage and economic development) contributing to climate change, its disruptive influence on water management is perceived to be one of the many critical risks facing our world: a risk of high likelihood and high impact on human wellbeing, ecosystems and economies. The impacts including extreme weather events, such as droughts and floods, will increase in both severity and frequency, while water scarcity will become far more widespread and affect millions of people globally.